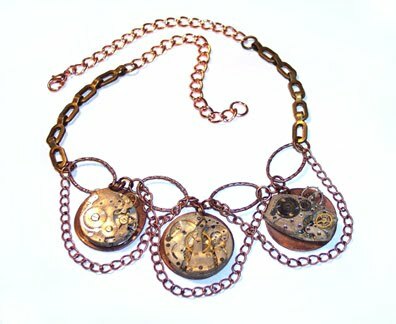 Mixed media steampunk-style jewelry just never seems to go out of style, at least not with those who love mixed metals, industrial chic, retro styles, and fantasy! Here's a piece that I made years ago that I still enjoy wearing. Super easy! The tutorial is at the link above. If you are a lover of all things steampunk too, you are welcome to follow my new Pinterest board called Steampunk accessories.